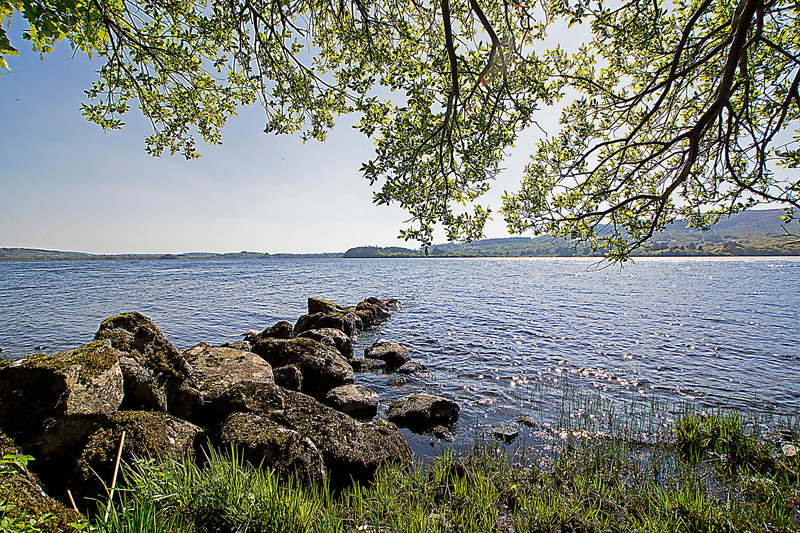 An expansive view of the vivid blue waters stretching for miles, captured on a sunny Lough Eske. Lough Eske translated from Irish, meaning "Lake of the Fish" lies to the northeast of Donegal Town. The lake is around 900 acres (3.6 km2) and is surrounded to the north, east and west by the Bluestack Mountains, which occupy most of central and eastern Donegal.